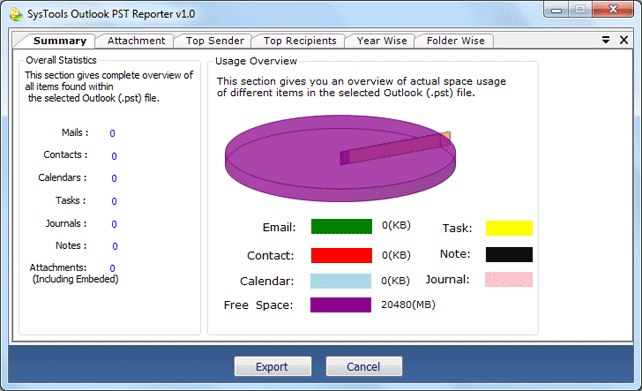 Export file with the different option such as Attachment wise, Top sender, Top recipient, Folder wise etc. PST Reporter generates a complete report of PST file. File includes breief details about attachment related to PST file, Top sender, recevier list, Year wise & Folder Wise details of the activity. In summary section, a user can overview of all items found in seleceted PST File. It counnt all Emails, Contatcs, Tasks, Notes details. Also, Give a Graphical View of File to easily understand space usage of differernt sections of file. PST File Reporter also provides option to display attachments details related to PST File. Details include counts of each attachment, file size in KB. PST Reporter displays all types of attachment in the PST File. 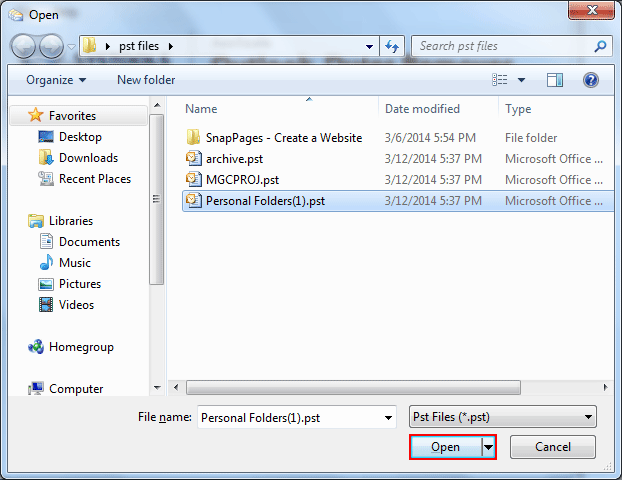 In Folder Wise option, user can view details of the folder holding PST files. Here you find details related to files such as file name, file path, no of items present in each folder, attachment count if any related to PST files..
Outlook PST Reporter can read both formats of PST File: ANSI & UNICODE fromat. It scans corrupt or damaged PST File and display details of PST files stored in it. Once the software creates a complete report of PST files, after scanning the PST file, User can export this report in CSV format that can be used for later use. PST Reporter Software- Replies All Doubts & Queries! Is software count number of attachments related to emails as well emails? 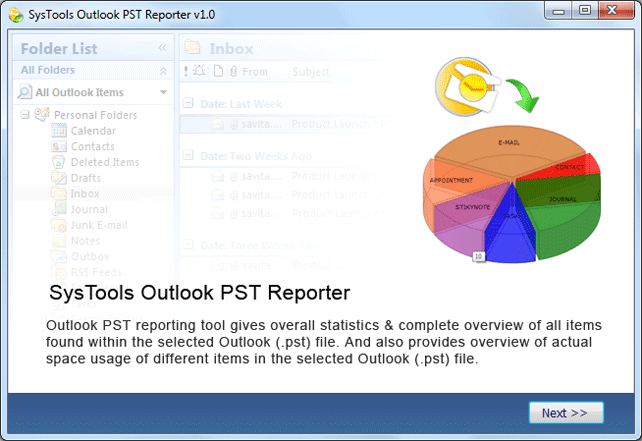 Yes PST Reporter Tool count all items stored in PST File items includes, emails, attachments, notes, journal. Is there any file size limitation on creating the report of PST Files? No Software doesn't have this kind of restriction. It can support any file size of ANSI or UNICODE Format. 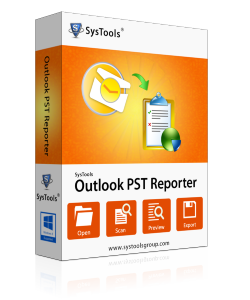 Is it necessary to installed MS Outlook before running this PST Reporter Software? 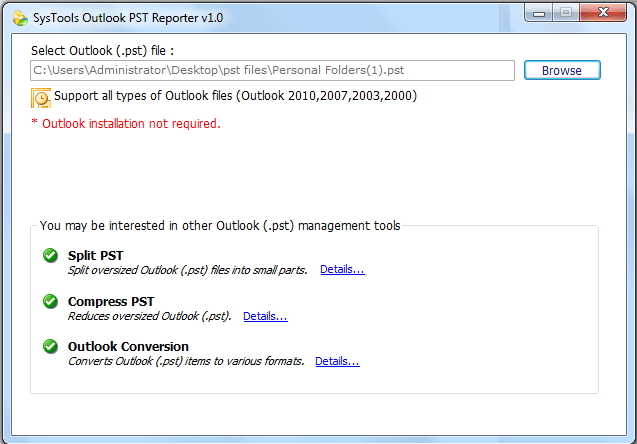 No, There is no need of MS Outlook installation necessary to run PST Report Tool. How can I Recover data of my reported PST File, if my PST Files is corrupted in nature? You can try this PST Recovery Software that can help to recover data from corrupt PST File. Finally, find a freeware tool that can help a lot to maintain the details of PST file easily, I quickly view all details related to PST File, its file size, all items details stored in PST. Without opening PST File in Outlook, Now I can view all details of my PST Files with the help of PST File Reporter, Since Software support both kind of PST file (ANIS & UNICODE). Giving details in a graphical manner provide a lot of ease to understand file details.